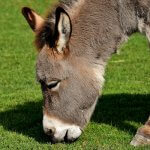 The Donkey Sanctuary | Blog | The Devon SEO Co.
Devon is home to one of the UK’s leading animal sanctuaries, providing shelter and veterinary care for abandoned and abused donkeys from all over Europe. Life would look bleak for many unwanted donkeys without The Donkey Sanctuary, which has been operating in Sidmouth for almost 50 years. Giving them the medical care and the love they deserve, more than 15,500 donkeys and mules have been rescued since the shelter was founded in 1969. Today, as well as taking in unwanted donkeys, the charity also runs programmes to educate the owners of working donkeys and mules in other parts of the world on animal welfare issues. The aim is to improve the life of the animals (working in industry, or tourism and leisure) by teaching their owners about suitable harnessing, routine care and better working practices. The sanctuary also monitors the donkey trade, tracking emerging welfare problems where the animals are used for their skin and meat. It has welfare partnerships with more than 40 countries across the world to stamp out animal cruelty. It is also concerned with the welfare of feral donkeys, who have usually been working donkeys abandoned by their owner when they have become too old or sick to pull a cart. The Donkey Sanctuary liaises with animal welfare organisations across the world, including in the Caribbean, Sri Lanka and Brazil, to put in place welfare programmes. The sanctuary was founded thanks to the dedication and perseverance of one woman: British animal welfare advocate, Dr Elisabeth Svendsen MBE. Born Elisabeth Knowles in Yorkshire in 1930, she devoted her life to improving the lives of donkeys and mules, which are donkey and horse hybrids. Her mission began as a result of a childhood passion for donkeys. At the age of eight, she went on a day out with her family to the seaside resort of St Annes on Sea, in Lancashire. On the journey, they drove past a field of donkeys – perhaps those used to give visitors donkey rides on the beach. She hadn’t seen donkeys close-up before, but immediately loved them. Afterwards, every time she was out with her father in the car, she made him take detours so that she could go and pet the donkeys. Her early career was spent as a secretary and a school teacher, before she married Niels Svendsen. The couple had four children – and like all parents, they had the massive task of providing a regular supply of clean nappies. Eventually, they invented a special dryer for baby’s cloth diapers, patented the idea and sold the manufacturing rights. They used the money to buy a hotel in Devon in 1966. They later divorced, but Elisabeth stayed on in Devon, still harbouring a dream of doing something worthwhile for donkeys – her childhood passion. After adopting a donkey called Naughty Face in 1969, and seeing several others cramped in small pens at livestock markets, she decided to open her own sanctuary. She chose the Salston Hotel, at Ottery St Mary, as the location of her new venture. It was a spacious country house with eight acres of land, so an ideal spot for a sanctuary, with living quarters for both humans and donkeys. The property was run down, but she managed to renovate it and realised her dream. By 1973, she had 38 donkeys permanently residing at her sanctuary, which was self-funded until that point. She had given up her hotel to look after the animals full-time. It was an expensive business, especially after an elderly lady, the late Violet Philpin, who had cared for animals herself at the Helping Hand Animal Sanctuary near Reading, had written in her will that she was bequeathing her 204 donkeys to Svendsen. The Donkey Sanctuary became a charity and went from strength to strength, with Svendsen launching a sister charity, the Elisabeth Svendsen Trust for Children and Donkeys, in the 1970s to provide riding therapy for children with special needs. Since Svendsen died in 2011, aged 81, her wonderful legacy has lived on and the sanctuary continues to grow and thrive, thanks to public donations. It has grown into an international charity, which has had a positive impact on thousands of animals. The Donkey Sanctuary is open to the public daily from 9am until dusk, 365 days a year. It offers free parking and has been awarded Centre of Excellence status for its welfare projects and standard of care for its inhabitants. Devon is also home to the Devon SEO Co. Our specialist SEO service is aimed at managing your brand’s SEO activities and driving an increased amount of search engine traffic to your website. Interested? Contact us to find out how our professional services and expertise can help your business to thrive.